Measuring 12feet (4meters) in length, it offers the ultimate convenience to bed/sofa/balcony/back seat of your car. High speed charging and flash data transferring. USB 2.0 data transfer rate up to 480Mbps supportive. 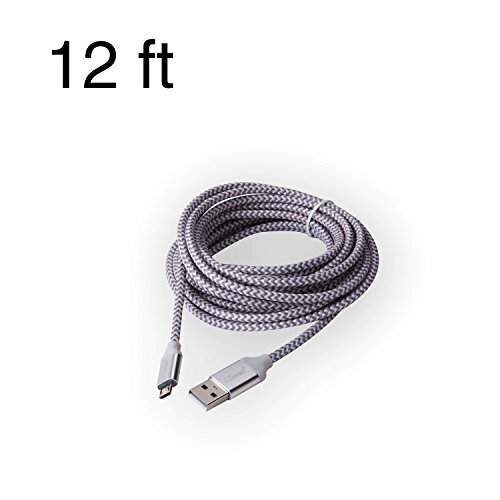 These cables are distinctive and fashionable, sturdy and durable, not easy to be stained. Unconditional 12 month warranty with no questions asked. All costs will be covered during 12 month Replacement Process. If you have any questions about this product by Exlong, contact us by completing and submitting the form below. If you are looking for a specif part number, please include it with your message.